In May 2015, Blackpool and Wigan Athletic hit rock bottom. Premiership clubs until recently, both experienced traumatic seasons complete with pitch invasions, abandoned games, and – all too often – hard-to-swallow defeats. Their Chairmen received F.A. bans for racist remarks and defamatory texts, whilst managers were hired and fired. Descent from the Championship to Division One was inevitable. How does a club come back from such dire fortunes and could the 2015-16 season mark a new chapter? Would one, or both, clubs bounce back into the Championship at the first time of asking, or would they experience a further fall from grace into the murky depths of Division Two? 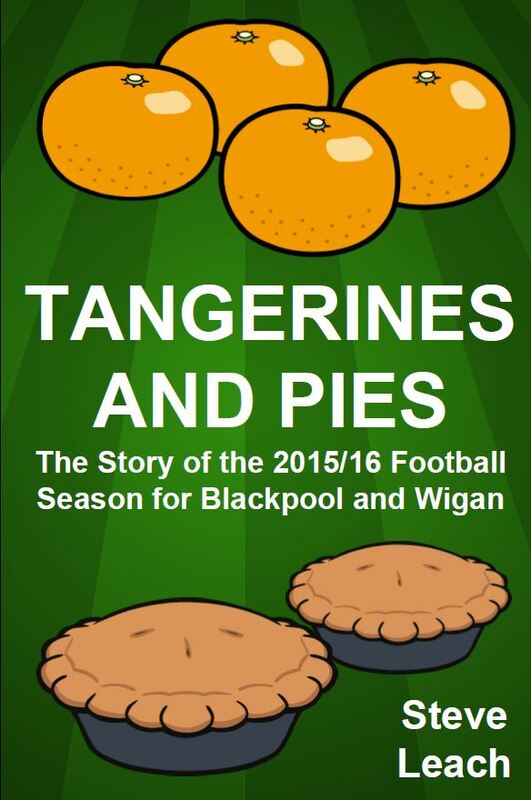 Tangerines and Pies tells the remarkable story of these former northern powerhouses of football: from the bleak beginnings of the season’s start, though the roller-coaster ride that followed, to two very different outcomes. Capturing football life from the coal-face, author Steve Leach brings to life each club’s journey through Division One. The book contains match reports from Bloomfield Road and the DW Stadium, as well as away games against rivals including Oldham, Bury, Rochdale, Crewe and Burton. 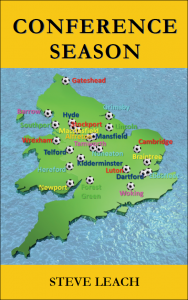 It also details the significant events off the field including the on-going conflict between the Oystons and the Blackpool Supporters Trust, and the emergence at Wigan of David Sharpe as the youngest chairman in Football League history. Unearthing the essence of each club, Steve wanders the streets of Blackpool and Wigan, talks to local journalists and fanzine editors, joins a protest march, and finds himself on a packed terrace at Burton Albion with a mass of Wigan supporters for a crunch late-season game. Tangerines and Pies invites you to accompany Steve on his season-long journey which chronicles the highs and the lows, and the Tangerines and Pies invites you to accompany Steve on his season-long journey which chronicles the highs and the lows, and the moments of comedy, tragedy, heroism and farce involved in the attempts of these two famous clubs to cope with, and emerge unscathed from, life in Division One. Steve Leach is also the author of Conference Season. Book Categories: Soccer and Steve Leach.